The reportedly bulging IPO pipeline is beginning to pay dividends for financial PR agencies as mandates are handed out for flotations of private equity-owned firms. 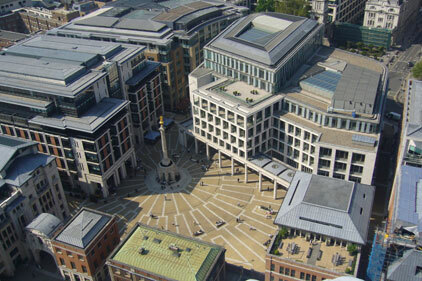 LSE: Set for IPO boom in 2010? Last week British fund manager Gartmore announced its intention to push ahead with a £1bn London Stock Exchange listing before Christmas. The firm, 58 per cent owned by US private equity firm Hellman & Friedman, brought in M: Communications on a project-specific brief. The move is expected to kick off a wave of London listings, including New Look, Pets at Home, Betfair and Travelport. Most candidates are owned by private equity firms. IPO candidate Blackstone-owned Merlin Entertainments has handed its retained corporate PR account to Tulchan Communications. The £2bn-valued Merlin has not announced an intention to float, but possible capital markets activity was believed to be considered crucial to the brief. Additionally, FD has picked up an IPO brief for travel technology giant Amadeus. The firm, controlled by private equity companies BC Partners and Cinven Group, held a competitive pitch in advance of plans to raise around EUR2bn from selling new and existing shares on the Madrid market. Investment banks do have a decent pipeline of IPO business on the blocks, but there remains a question mark over timing. From a financial PR perspective, an IPO is a valuable piece of business to win because you not only secure a transaction fee upfront, but if you perform well on the listing, it will usually lead to having a retained client on the books. The extent to which these flotations benefit the PR industry depends on volumes, and there remains a polarity in views on how many of these IPOs will come to fruition. Although there appears to be an anticipated volume of IPO activity for the first half of next year, these may be the larger private equity-owned firms.